Earlier this month, a former editor of the People’s Daily, China’s largest state-run newspaper, reportedly committed suicide after suffering from depression for over a decade. 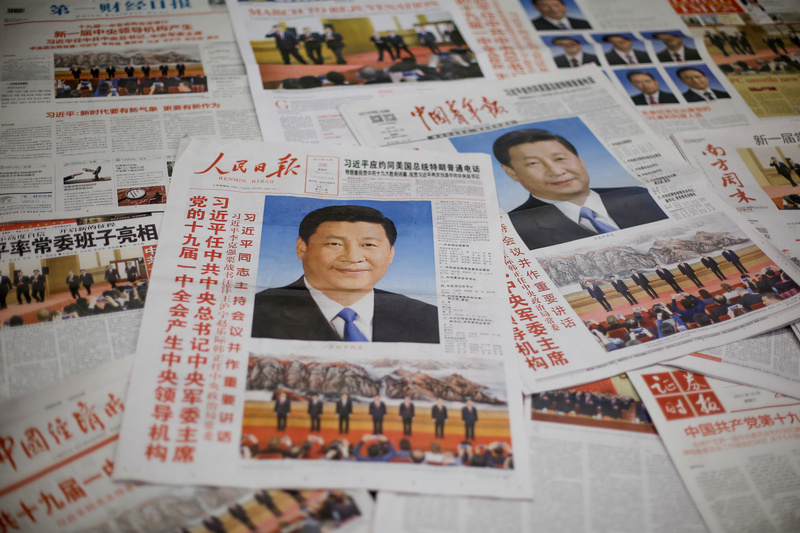 This is by no means an isolated event; suicides in China’s state media happened before — multiple times. These tragedies are the result of the way China’s media outlets are controlled and the purpose they serve. You see, the People’s Daily is not your ordinary tabloid. It’s the official newspaper of the Communist Party of China. And unlike a free press, official media are purely the government’s tool designed to strategically shape public opinion and mobilize societal resources in order to achieve policy goals. It should be no surprise that, in such an environment, editors’ free will is not a hot commodity — by far. The highly official status of the People’s Daily also means there’s much to learn from reading the tea leaves in it. For example, if this newspaper alters the way it propagates policy issues, it becomes a valuable clue as to how actual policies will change in the future. In a new research paper, we highlight the creation and development of a new AI program to pick up those clues, as precisely as possible. The output of this program, which we call the Policy Change Index (PCI) for China, is a leading indicator covering the period from 1951 to as long as the People’s Daily stays in print. In other words, the PCI not only has worked well in “predicting” past policy changes, in retrospect, but also has the ability to make policy predictions in the future. You might be thinking this is basically a Chinese version of Kremlinology — or, “Sinology” — in which case you are spot on. The only difference is we employed modern-day text analysis and machine learning to decipher the newspaper, which has published nearly two million articles spanning more than seven decades. With these techniques, the process of “china-watching” is more of a science and less of an art. Hence the version 2.0. We have written in more depth about how our machine learning algorithm works, here and here. The method features a “language-free” design — that is, predicting the occurrence of policy change does not require the researcher to read the Chinese text. This feature suggests a wide range of potential applications, the most obvious of which are the PCIs for other (ex-)Communist regimes. We are hoping to soon demonstrate this concept with our work in progress, the PCI for Cuba. The interested reader can find more details about the PCI from our project website, where the sign-up for our monthly newsletter is also available. We have released the source code of the project on GitHub, so that the academic, business, and policy communities can not only replicate our findings but also apply our method in other contexts. Julian TszKin Chan is a senior economist at Bates White Economic Consulting. Weifeng Zhong is a research fellow in economic policy studies at the American Enterprise Institute. The views expressed here are solely those of the authors and do not represent the views of the American Enterprise Institute, Bates White Economic Consulting, or their other employees.